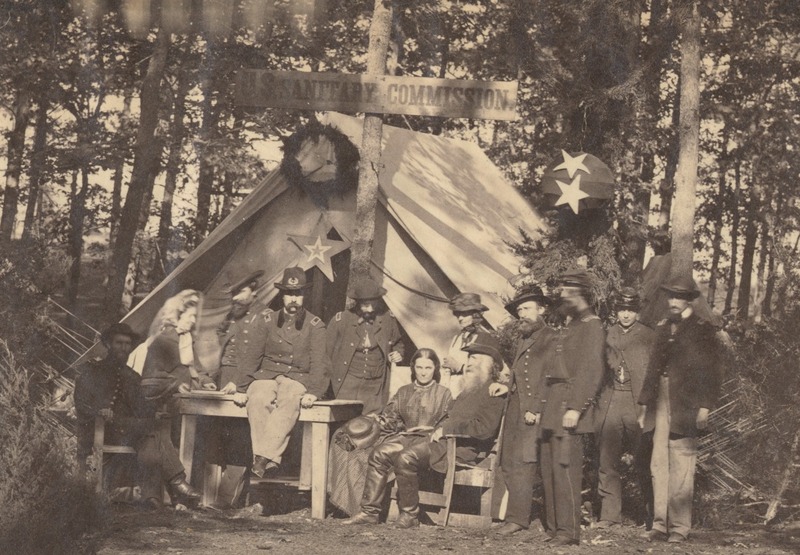 The majority of the statistical knowledge we possess on United States volunteers during the American Civil War owes its origins to the Statistical Bureau of the United States Sanitary Commission. 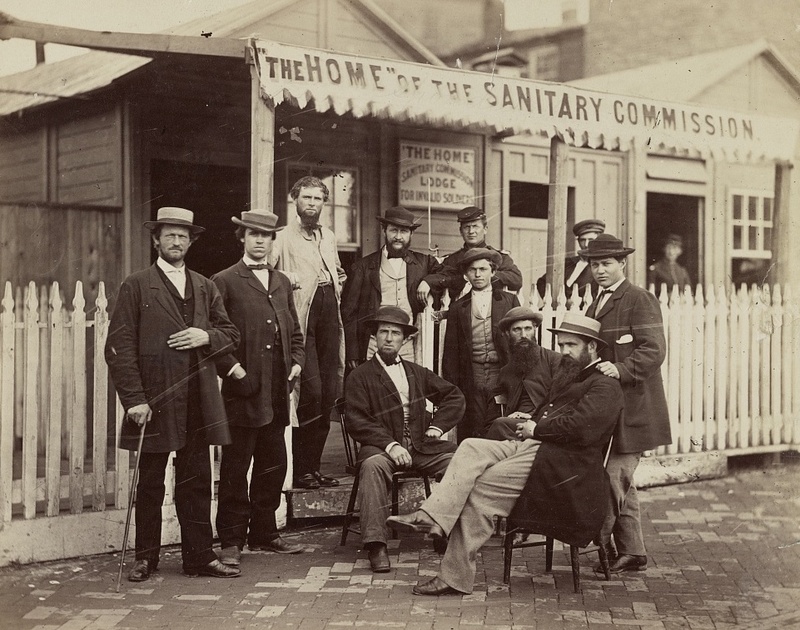 During the conflict the Commission painstakingly gathered information on both sanitary conditions and the soldiers themselves in order to inform hygiene, health and other policies. At the heart of these efforts was the work of a statistician from Cork City, T.J. O’Connell, a young man whose efforts continue to influence our perception of the Union volunteer to this day. While acknowledged by his peers, the significance of T.J. O’Connell’s work with the Sanitary Commission did not translate into his long-term remembrance. Yet his role was undoubtedly one of the most significant and far-reaching of any undertaken by the wartime Irish diaspora, and deserve to be more widely known. I am keen to uncover more details concerning T.J.’s life in an effort to redress that imbalance. If any readers can shed any further light on his life and work, I would be most keen to hear from you. If you have enjoyed this and other posts and resources on the website, please consider supporting my work on Patreon. You can do so for as little as $1 per month, and gain access to exclusive content. You can find out more by clicking here or visiting https://www.patreon.com/irishacw. New York Muster Roll Database. Civil War Draft Registration Records. New Irish American Weekly 7th April 1866. Irish-American Obituary. New York Herald 7th April 1866. Mortuary Notice. 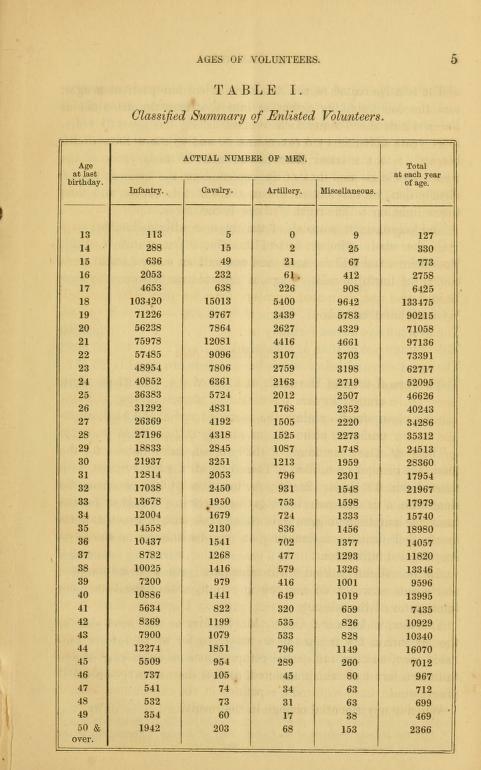 U.S. Sanitary Commission Statistical Bureau, 1866. Ages of U.S. Volunteer Soldiery. Benjamin Apthorp Gould, 1869. Investigations in the Military and Anthropological Statistics of American Soldiers. 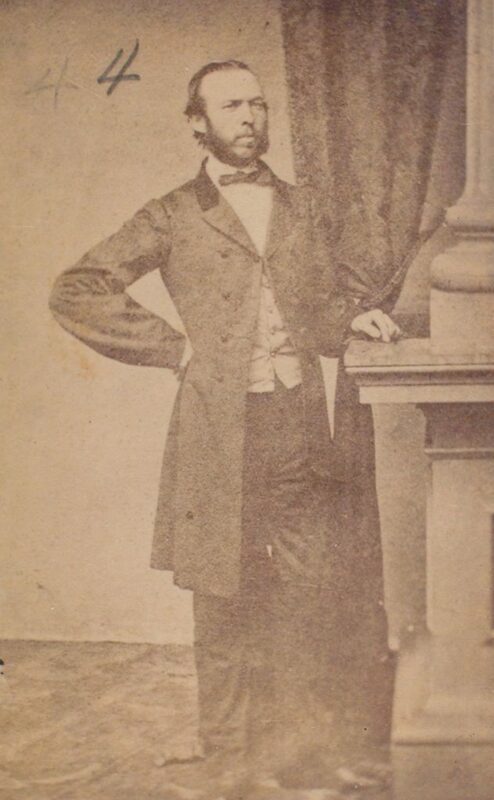 Charles J. Stillé, 1868. History of the United States Sanitary Commission. 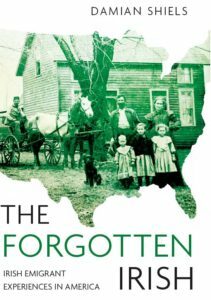 Amazing study of the ages of volunteers in the Civil War. I wonder, though, how accurate it is?? My great-grandfather, John Prendergast, appears on the Muster Roles of the IX New York Cavalry, volunteering in Feb., 1864 and stating his age as 19. But, in 1903, when he was having back and stomach trouble and difficulty with his job as a Chicago fireman, he applied for a Civil War Pension and stated his birthday as 22 Nov., 1847. He was unable to provide proof of birth (or baptism apparently), but signed a sworn affidavit attesting to that birth date. If that was true, he was ACTUALLY a few months over age 16 when he volunteered. That would have made him, per the study, one of 232 16 year-olds who volunteered for the cavalry. If he really was 16, he was amongst a few cavalry volunteers. But why mislead about his age if the service was open to taking others at what we would now clearly view as “underage”? If there was a significant motivator to volunteers to falsely represent their age as more than it was, I would be interested to know. It is as accurate as it was possible to be, but you are quite right there were many discrepancies in reported age. I often come across men who were both under and over the age limit who lied about their age in order to enlist- particularly the former. There would have been thousands of 16-year-olds in the military, I have even come across Irish-born men a couple of years younger than that. Even if the officers were complicit, they rarely record the true age of these underage soldiers on the documentration. Of course later in life some veterans also sought to portray themselves as being born earlier in order to avail of pension benefits. It is as accurate as it was possible to be, but you are quite right there were many discrepancies in reported age. I often come across men who were both under and over the age limit who lied about their age in order to enlist- particularly the former. There would have been thousands of 16-year-olds in the military, I have even come across Irish-born men a couple of years younger than that. Even if the officers were complicit, they rarely record the true age of these underage soldiers on the documentation. Of course later in life some veterans also sought to portray themselves as being born earlier in order to avail of pension benefits.